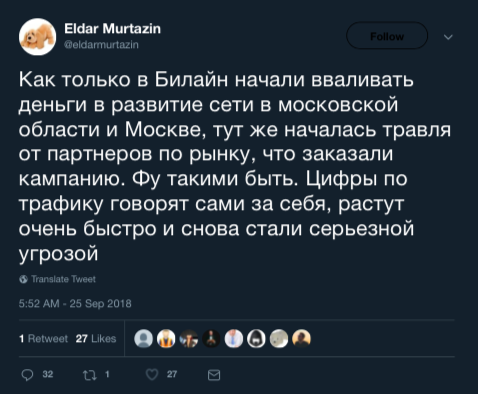 Twitter re-watching a large-scale skirmish between a leading mobile analyst Eldar Murtazin and popular blogger Valentin Petukhov. This time the stumbling block was the campaign to destroy the image of the Beeline. 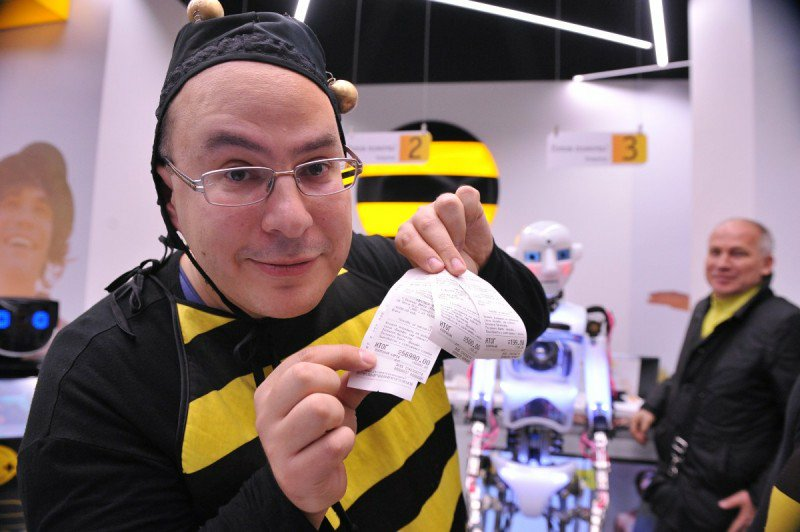 It all started with the tweet of Eldar, in which he complained about competitors, Beeline, supposedly preparing for the information war against the brand. Then in the comments to his post wrote that Valentin Petukhov lately unflattering about communication in the Beeline, thereby implying that he is also involved in the persecution of the provider. After some time the Valentine joined the discussion by quoting the tweet, Murtazin and demanding proof. In response, a leading mobile analyst hinted clearly at what is usually the first Size to go, as he allegedly greedy for any money. Then the Eldar have returned to the old stories about LeEco and the fact that Size along with the Chinese company tried to deceive people. However, he noted that in no way accused Valentine, and he himself came to understand. After all gradually turned into rudeness and an enumeration of the errors and faults of the other. 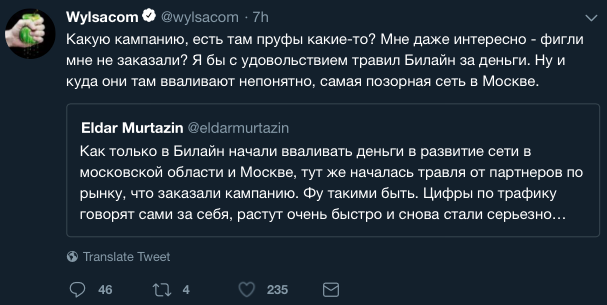 Murtazin accused Wylsacom that he is uneducated and too greedy for money. And even touched his audience, accusing them of ugliness. Valentine, in turn, said Murtazin forget and therefore he invents various stories to him again, blew off the dust. As a result of this storm and died down. A couple of mutual accusations, insults and go home. As always.